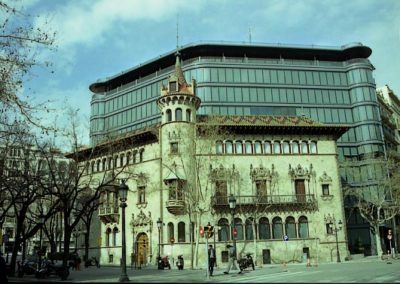 Present condition: Outside Very good, Inside adapted to the present representative needs of Diputació Provincial de Barcelona (Regional Government of Barcelona). Built in 1903 by the architect Josep Puig i Cadafalch. 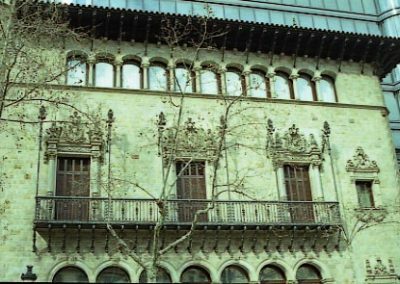 This house was never occupied by his owner. 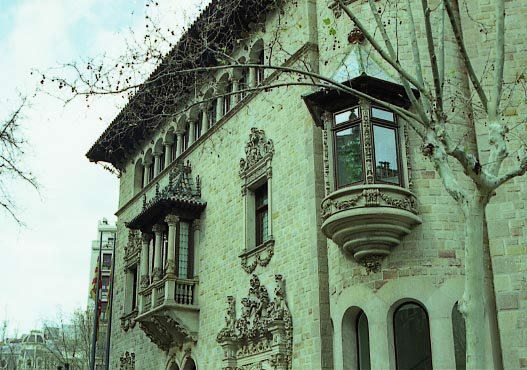 This is the reason why the interior is empty of any Art Nouveau ornamentation. 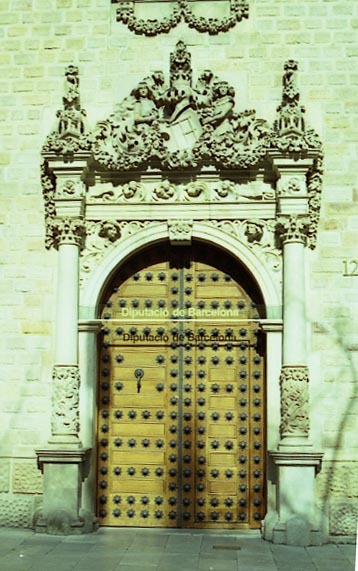 The façade is build in true stone with an splendid decoration, specially around the door looking as a “plateresc” style and sculpted by Eusebi Arnau. 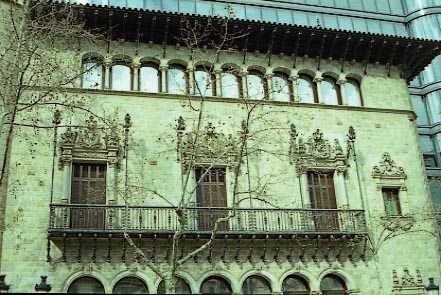 The windows with the heads of Fortuny, Wagner and Cervantes were sculpted by Alfons Juyol. The building is at present the representative headquarters of the Diputació Provincial de Barcelona, but the offices are established in a new modern building in the back side of that building.